This week’s Secret Ingredient for Friday Foodie Fix is Squash. Winter squash comes in a wide range of varieties. It ranges from as small as your hand to over 100 pounds. Some are long others are round. They all have a similar flavor but the sweetness, flavor intensity, water content and color of the flesh will vary according to type. Squash will last a long time as long as you don’t cut into it. Once cut you should refrigerate it and use it within a day before it starts to go rancid. We are not big squash eaters around here. I’ve only really eaten it once in a New Mexican Stew recipe I made from Karina Allrich. It was really good but I didn’t venture out any further with winter squash. So I thought I would make it this week’s ingredient and you could share recipes you think I should try. We did receive a lot of butternut squash in our CSA. I’m going to roast some and add it to a mushroom penne pasta for my vegetarian son for Thanksgiving. Hope that will work out. I can’t wait to see your ideas! Next week’s Secret Ingredient is …………..Turkey! Kim- Wow, ok I'll have to give them a try. Squash fries sound interesting. Thanks for sharing. Sorry to be off topic for this post, but I just wanted to say that if you do come up with a gluten-free version of the Za'atar flatbread, send me the link and I'd love to add it to my post! I love the Za'atar, if you like Sumac I bet you would like it. Did you know othat Bill Penzey is a brother of the woman who owns The Spice House, so I think they have a lot of the same products. Kalyn- I love the recipes you share on your blog. It really gets me thinking. Interesting that brother and sister own different spice companies. A little sybil rivalry going on? I'm going to use a bread mix I have for the flatbread and see how that goes. I do like sumac which is why I purchased that Zatar from Penzeys in the first place. I just totally forgot about it. I'm so glad you reminded me to even look for it. I'll have to have it for lunch! I'm sorry that my recipe has cheese, otherwise I think you would like it. I like looking at all the varieties of squash at the store. What other food comes in so many shapes, sizes and colors? Linda- Oh I love cheese, it just doesn't love me as much. I totally forgot about spaghetti squash. Now that I've eaten many ways. I just never counted it since the taste is so mild. Squash can be fun! Thank you for sharing. Mmm I love squash!!! I seriously never get tired of it in the winter, and they are so many great ways to serve it! I keep trying to look for new varieties to try. Jenn- Thanks, I'll keep cooking and see what hits home. I don't think my comment made it in, so I will try again! I was just excited that I timed my squash post so well with the FFF this week! A first for me. Alisa- Thanks for sharing. So glad could join in Friday Foodie Fix. Remember, you can always go back to past secret ingredients and add in the link. I'll be doing a review again very soon. I've made lots with squash … just don't have any posts or pics of the dishes. 🙁 Looks like you have a good turnout. Be sure to check out Kelly's (The Spunky Coconut) Butternut Lasagna. I think she's on vacation or I'd ask her to include it here. Maybe she can link it when she gets back. The reason I mention it for you, Diane, is that it's gf/cf and gets rave reviews. Shirley- Squash Lasagna! I've never heard of such a thing. I'll have to check that out. Thanks for the tip. 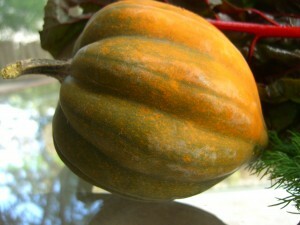 The best squash I ever had was calabaza squash in Argentina. They made the most amazing squash pies there, and you could buy them anywhere! I've never been able to find a calabaza squash in the grocery stores near me that didn't look like it had already gone bad though. Iris- Sounds interesting. Sounds like you're on a hunt. Good luck in finding that. I'll make sure to grab one if I see it. Thanks for the tip. One of my client forwarded link to your Post Friday Foodie Fix – Squash | Gluten Free-Dairy Free Recipes | The W.H.O.L.E. Gang | Diane Eblin on Tuesday.Your post is a nice one.Please Keep it up .I Love reading on squash fitness.